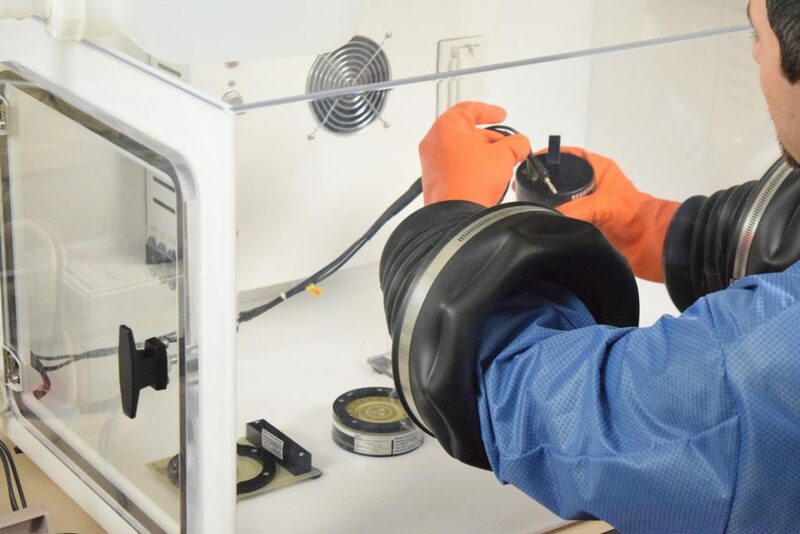 ESD Material Testing Laboratory Services - Electro-Tech Systems, Inc.
ETS evaluates the electrostatic characteristics of materials and products using resistance/resistivity, static decay, static shielding and triboelectric (or corona charging) test methods. Tests are performed at ambient or controlled-environment conditions, and ETS’ facilities include microprocessor-controlled humidity chambers and a controlled environment room. ETS tests a broad range of products across various industries. Surface Resistance and Surface Resistivity are the most common tests for measuring the surface of liquids, powders, sample material plaques, or finished products. These tests are intended to predict the ability to bleed off or retain static charge using industry standard or custom test fixtures. Resistivity (when appropriate) is calculated from the measured resistance using the dimensions of the electrodes and/or test sample. Volume Resistance and Volume Resistivity are the most common tests for measuring through the thickness of liquids, powders, sample material plaques, or finished products. These tests are also intended to predict the ability to bleed off or retain static charge using industry standard or custom test fixtures. Resistivity (when appropriate) is calculated from the measured resistance using the dimensions of the electrodes and/or test sample plus the thickness of the sample. SAE J1645 for automotive fuel systems is an example of a specification that uses this measurement technique. We can also measure the time a material retains an applied charge (commonly referred to as charge retention). Triboelectric Charge Generation evaluates the ability of material or objects to generate charge when rubbed against or separated from another material, or from itself. The variables that can affect these measurements include material relationship on the triboelectric scale, environmental, mechanical, electrical, and data interpretation. ETS obtains data using nanocoulombmeters, charge plate monitors, and high-speed oscilloscopes. ESDA Adv 11.2 describes several test methods, including the inclined plane test that measures the charge buildup on quartz and Teflon® cylinders rolled down a 12” (305mm) material sample mounted on a grounded surface inclined at 15°. USPS-T-3204 Sec. 3.1.8 Electrostatic (Static Charge) testing of mailer film: Standard defining the maximum charge developed when mailer film wrapped around a standard 8 ½ x 11” tablet is separated from another tablet. Label Testing: Measures the maximum voltage on labels when separated from their liners. Static Shielding per ESD S11.31 (Energy) – This test measures the energy inside a static shielding bag. A 1kV Human Body Model (HBM) discharge is applied to the outside surface of a bag clamped between discharge, capacitive sensor, and ground electrodes, and the ESD pulse that penetrates the bag is measured. The ETS Test Suite Manager program generates a complete report of the peak current and energy measured inside the bag in accordance with ESDA STM 11.31.